The Toledo Symphony League, through designated funds of the League’s Remembrance Fund, fosters students of orchestral instruments. Monetary scholarships are given to talented students who are members of three youth orchestras known as the Toledo Symphony Youth Orchestras. They are named the Philharmonic Orchestra, the Symphonic Orchestra, and the Concert Orchestra. TSYO members are given the opportunity to audition for one of the scholarships in March. In 2018, fifty two scholarships were awarded for a total of $14,000. The Young Artists Competition fosters students of orchestral instruments by providing an avenue for the Toledo Symphony Orchestra and the Toledo Symphony League to support talented young musicians in the community. The Toledo Symphony League sponsors and funds the prestigious Young Artists Competition for gifted and talented young musicians in May. A highly respected panel of expert judges selects the winners through the audition process. 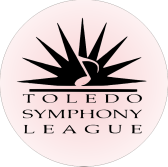 The winners are awarded monetary awards by the League and provided with the valuable opportunity of performing as soloists with the Toledo Symphony Orchestra. The competition took place on May 26, 2018 at the TSO Symphony Space. Claudia Trombla and Jettie Sansbury made sure everything went smoothly and stayed on schedule. The Judges were Amy Heritage and Michelle Cooker. The 3 winners will perform with the Toledo Symphony at the March 10, 2019 TSYO Side by Side concert and receive their $750.00 scholarship awards at that time. The Toledo Symphony League awards Summer Study Grants to Toledo Symphony musicians and Toledo Symphony School of Music faculty members to expand their teaching skills and foster students of orchestral instruments. League members usher throughout the Toledo Symphony concert season at these special concerts geared specifically for Toledo-Area school children. Approximately 3,000 students attend the Young People’s Concerts presented by the Toledo Symphony Orchestra the Toledo Museum of Art Peristyle. The assistance of League members is vital to the success of this program. Volunteers are always needed. To make a donation to The TSL Remembrance Fund, please complete the donation form and send it in with your contribution.